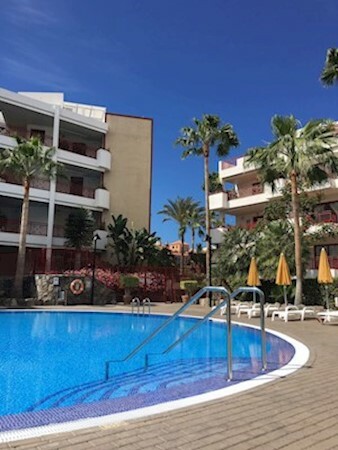 Two bedroom, two bathroom apartment on the Los Balandros complex in Palm Mar. The apartment is sold fully furnished and has partial sea views. The price includes a parking place and private storeroom. The Complex has attractive, well tended garden areas and two swimming pools plus a children's pool.